How to change profile e-mail? In any way, you can change your e-mail address. For this purpose go to personal profile settings. Choose “Account” tab, type new e-mail and press “Save” button. Tips and tricks. One user can have several Flowlu accounts and log-in using single e-mail and password. Once e-mail is changed in one account, it is changed in all other accounts. 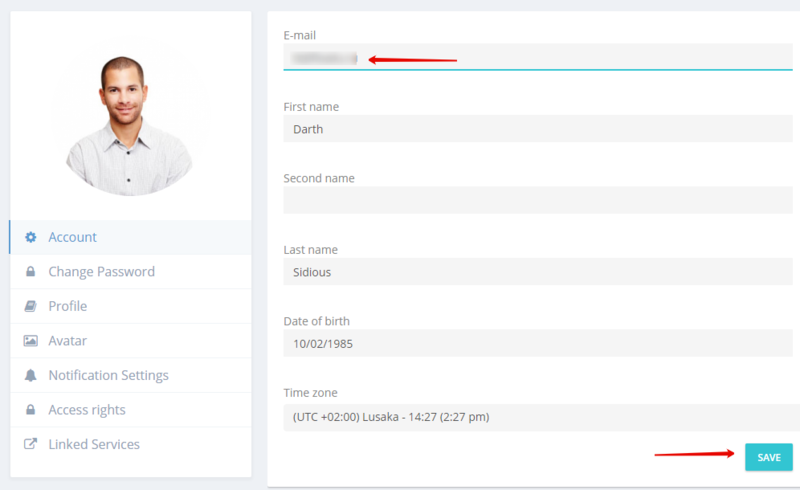 Only user himself may change e-mail in personal profile. Administrator is not able to change your user account data as it violates confidentiality rules. keyboard_arrow_left How to delete employee?